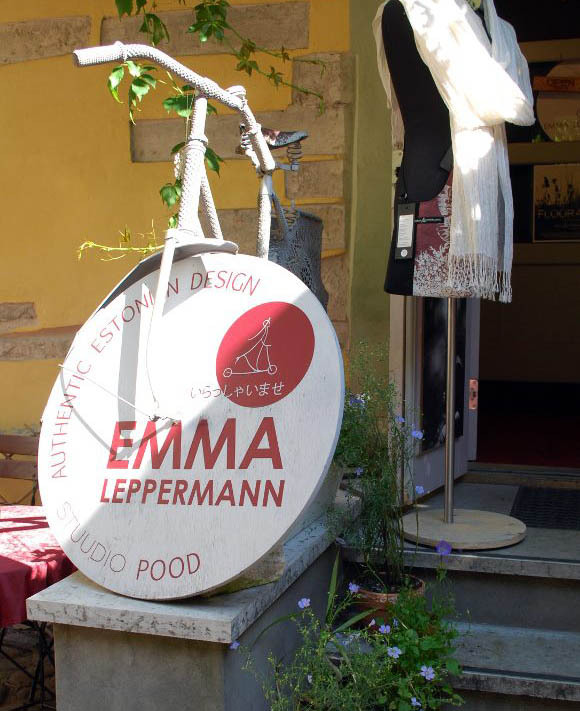 “Emma Leppermann” is like a juicy, sweet and sour plum. But not only. The artists behind this creative tandem are Merle Suurkask and Liisa Kallam. In addition we also have some good friends who are helping out in our studio shop: Jana Einard, Mari Haavel, Reet Randoja and Inga Torim. They all have a common passion – handicraft, creative solutions, interesting and natural materials. Emma Leppermann creates for people who value beauty and charm in little things. Interesting solutions are made by processing and retouching materials, by using knitting looms, by silkscreen and painting. Emma Leppermann creates tricky items, such as: Necklaces which are joint by a press button and that can be worn as a silk scarf, long necklace or small pearl ornament; Bags that can be worn in different ways – they fit your computer and A3 papers, but in case you do not have many things you can also make the bag smaller; Mini bags for pencils, keys and other small items that people usually lose in their large bags; Bags for different technical items; Mittens, sheo inner liners and different products to keep your hands and legs warm; Cosy and soft cushion covers and blankets; Warm and soft scarves, table covers, etc.